The Nurse Manager is responsible for all aspects of planning, organizing, and directing the delivery of services for the residential care site to ensure a high standard of care consistent with licensing regulations, and policies and procedures of the agency. Provide mental health and addictions services based on a philosophy of psycho-social rehabilitation (PSR). In keeping with an individualized client recovery plan, utilizes the PSR principles to develop, plan, implement, and maintain a full range of clinical services and client centered programs. 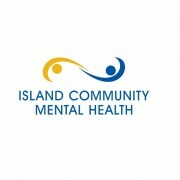 Liaises with relevant programs (Island Health) and community agencies in coordinating and integrating mental health and addictions services. The Nurse Manager is responsible for the day to day operations of the site and scheduling staff resources to ensure adequate coverage as per the union and health contracts and guidelines. Duties also include assessing staff skills and providing training, hiring, orientation and performance monitoring. This position requires a nursing degree and current registration with CRNBC. A minimum of 2-3 years working in a related position and at least 2 years working in a supervisory role. This is an excluded position and the hours of work are 40 per week.